Unrestricted access to operational data allows owners to more accurately forecast failures, better plan maintenance schedules and thereby reduce operational costs, Onyx InSight explained. However, most wind farm owners do not have full access to the data produced by a project’s turbines, and so cannot unlock further cost savings, the UK company claimed. "In one form or another, the wind power industry has to be better at sharing," Onyx InSight CEO, Bruce Hall, told Windpower Monthly. On the sidelines of WindEurope’s 2019 conference in Bilbao, Spain, Hall explained that manufacturers restrict some information because they are keen to shield intellectual property (IP) data from third parties. He argued this restriction is often too severe, as operators should be able to access all non-IP, operational data. The inability to access a full array of data hinders wind farm owners’ ability to make informed decisions about maintenance, according to Onyx’s white paper, ‘Thinking About Tomorrow’. By analysing data strands such as Scada (supervisory control and data acquisition), vibration data and lubrication analysis, operators can get a more complete picture of their project’s performance, Hall added. With this information, operators could better predict turbine failures and schedule their repairs, or curtail faulty turbines to better protect their assets until a maintenance crew is available. 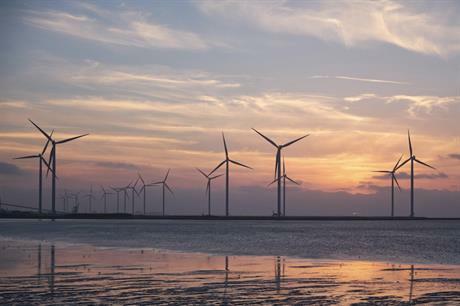 This ability to save on maintenance costs will become increasingly crucial as the wind power industry becomes more exposed to merchant risk, Hall suggested. In the future, more data streams and faster, cheaper computing power to produce this data will become increasingly available, Onyx’s CEO added. And while analytics tools such as artificial intelligence and machine learning will improve, human decision-makers with engineering expertise will still be needed to prevent owners from acting on a string of false alarms. "When you have poor analytic techniques, you might predict failures that never happen — and that discredits the entire industry," Hall added.